Heya girlzzz. . By now you guys must have known that I am a lipstick addict person . I love collecting lipsticks from different brands. To be very honest, I always think twice or thrice before investing in any high end brand lipsticks but if the price is under budget, then I don't think much. The only thing matters me is the formula of the lipstick because I have really dry lips and the humid weather of my city makes it more drier. I love matte lipsticks but for dry lips it is too much to do beforehand to get a nice pout perfect lips look. 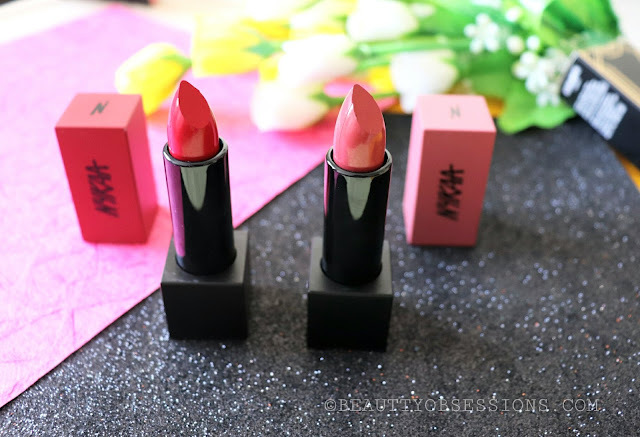 Recently Nykaa has launched their new range of lipsticks which named Ultra Matte Lipsticks. According to the brand these are the liquid lipsticks formula in bullet form. 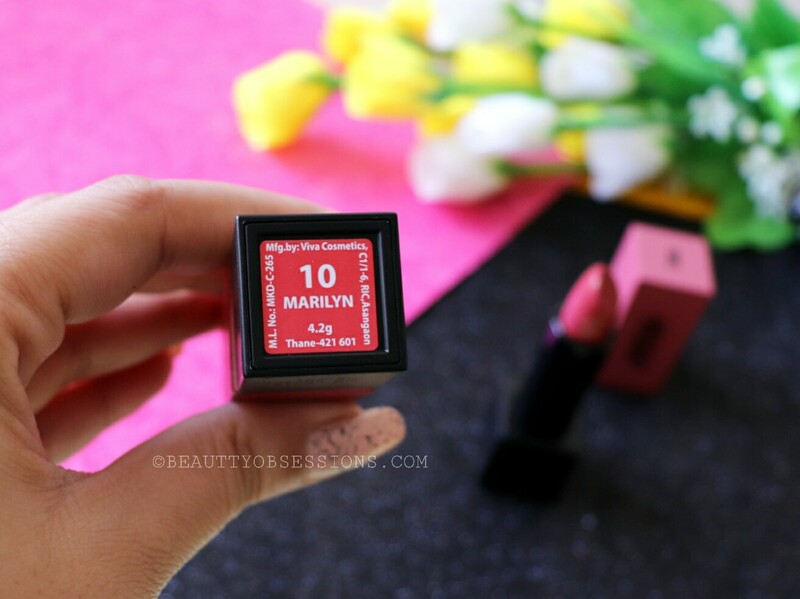 All the shades are richly pigmented and smooth to apply on lips. Water proof and transferproof and stays long hours without fading. There are 10 shades in this range. All the shades named after the great women around the world which I completely appreciate. I have the shades Diana and Marilyn with me. There are nudes, pinks, mauve and red shades in this range. 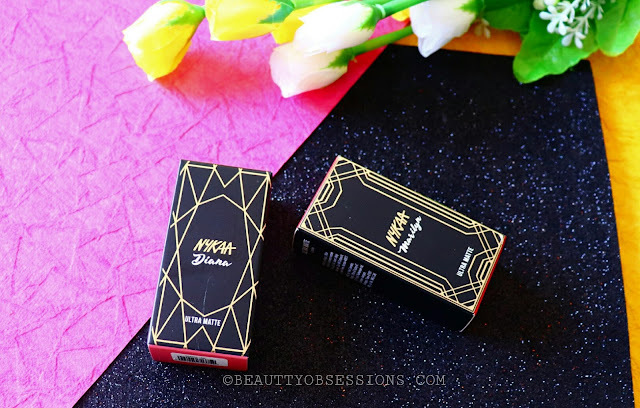 I have really very high expectations from this range by Nykaa. Let's see how these fair to the claims..
Packaging - The lipsticks has colour coded packaging which is a good thing. The cap of the bullet has magnetic closure . The square packaging of the lipstick makes this look classy and chic. The bullet has lipstick name at its bottom . There is also outer cardboard box which has all necessary information regarding the products. I love the lipsticks names of the ultramatte lipsticks. 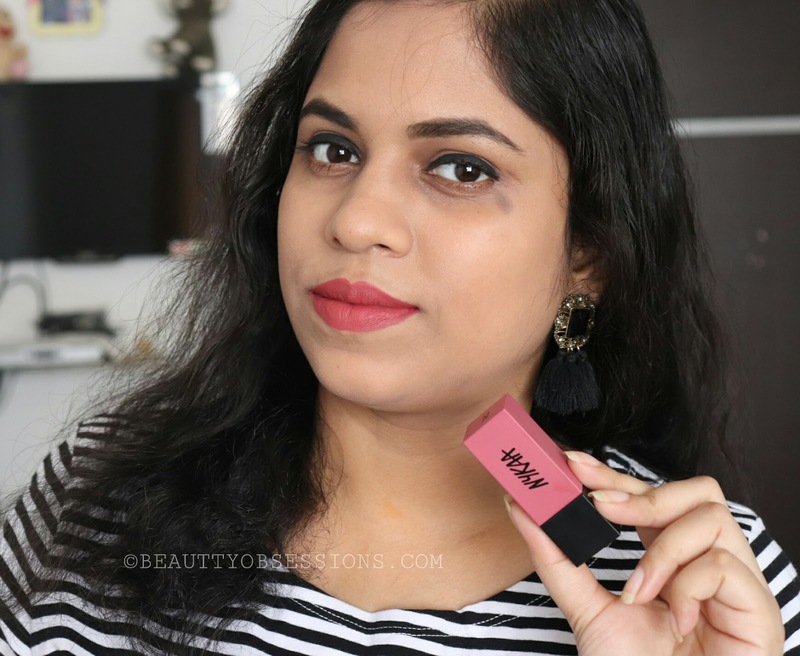 Nykaa has put the names after the super women around the world. 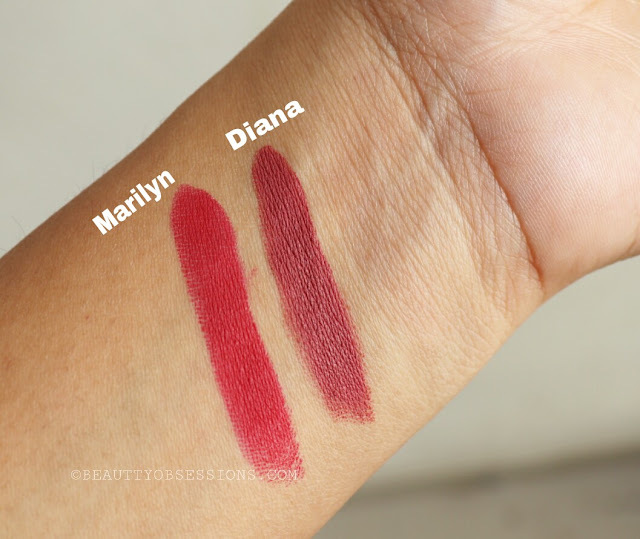 Among the 10 shades i got Diana and Marilyn shades which are obviously very beautiful. The shade Diana is a very pretty mauve shade with warm pink undertone. 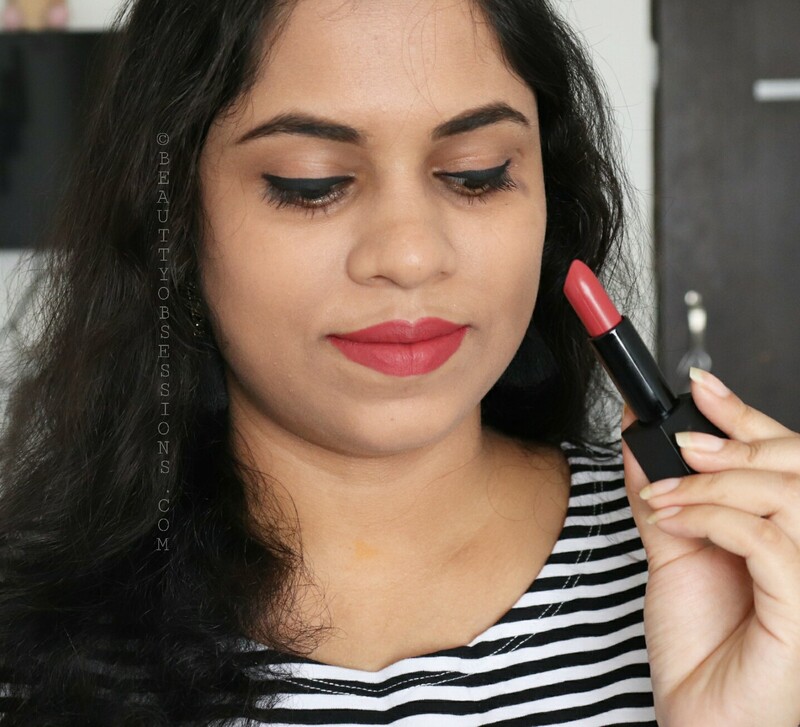 It is more towards the warmer tone side and i personally love warm-tone lipsticks, hence i picked up this shade. Marilyn is a beautiful warm tone red shade . 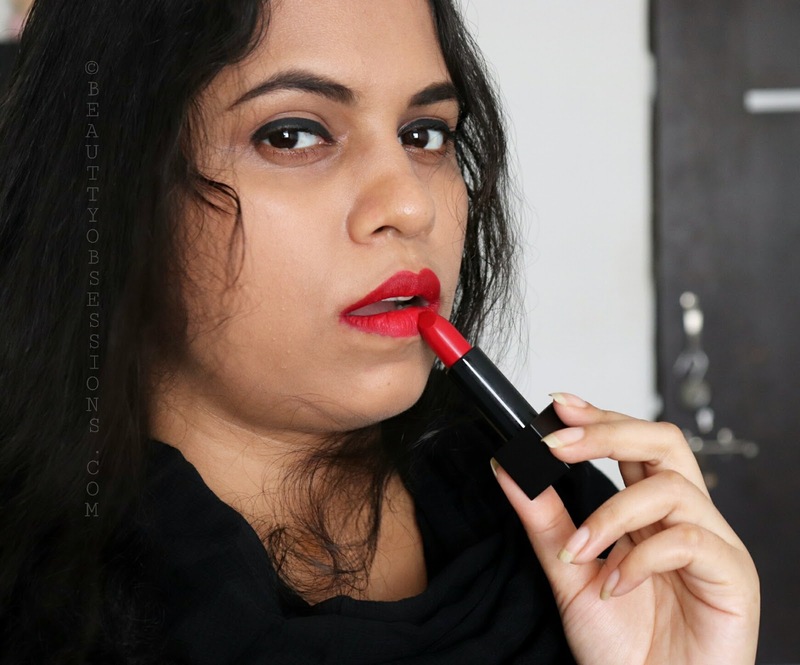 I am a big fan of red shades lipsticks because i found red shades always lift up my mood and complexion too. 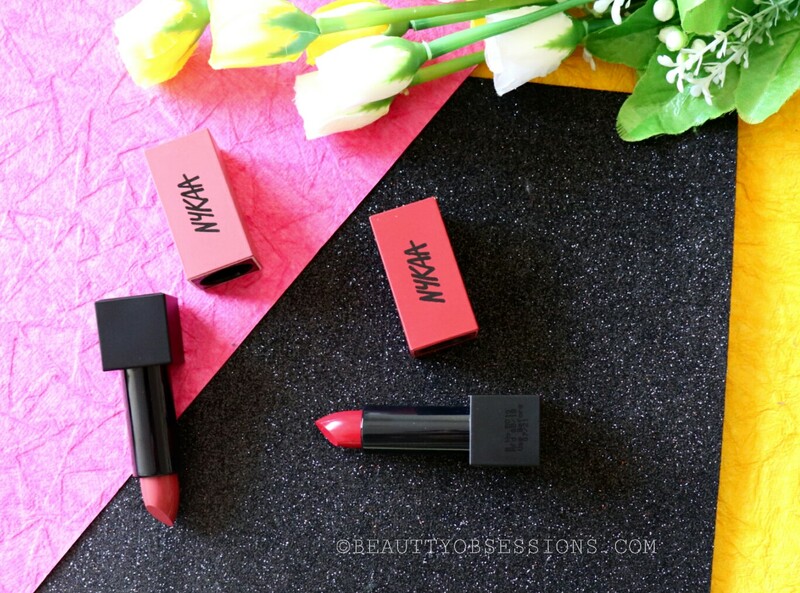 The texture of these ultra-matte lipsticks are creamy and soft . These glides on lips very smoothly without tugging and pulling . After few seconds of applying these set into a matte finish look. Though these lipsticks are very lightweight and non-drying on lips ,but you have to prep your lips beforehand to get a smooth base. Both the shades are really pigmented. They gives perfect colour in just one swipe and you can swipe twice to get a opaque look. I am really impressed by the pigmentation abilty of these lipsticks. 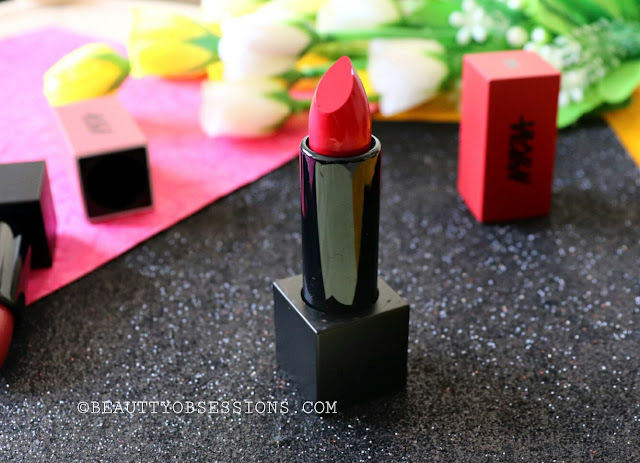 There is no shimmer or shin in these lipsticks ,these are pure matte ones. Though the brand is claiming that these shades are transfer-proof but in real these are not completely. The colour transfers into things but it won't affect the colour on lips ,hence i won't mind. These are not complete water-proof as well. After having heavy lunch or oily food ,you will definitely need a touch-up . These stay on my lips around 5-6hours. I love both the shades. Diana is my go-to shade right now. I almost wear it every single day while stepping out. I will try out 2-3 more shades from this range for sure. I will recommend everyone to try out the shades Diana , Marilyn to try out. 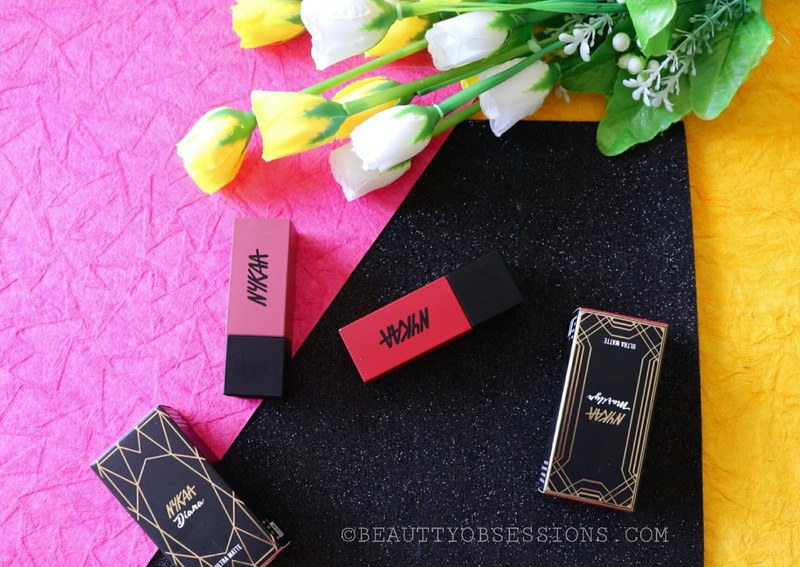 I am going to buy Helen and Cleopatra shade next.. Nykaa is coming some of the awesome collections day by day which is amazing. Now enjoy the lip swatches..
Watch the review on my channel by clicking below..
Hope you found this post helpful.Se you in the next one ,till then stay hooked..
Wow both the shades are so beautiful. 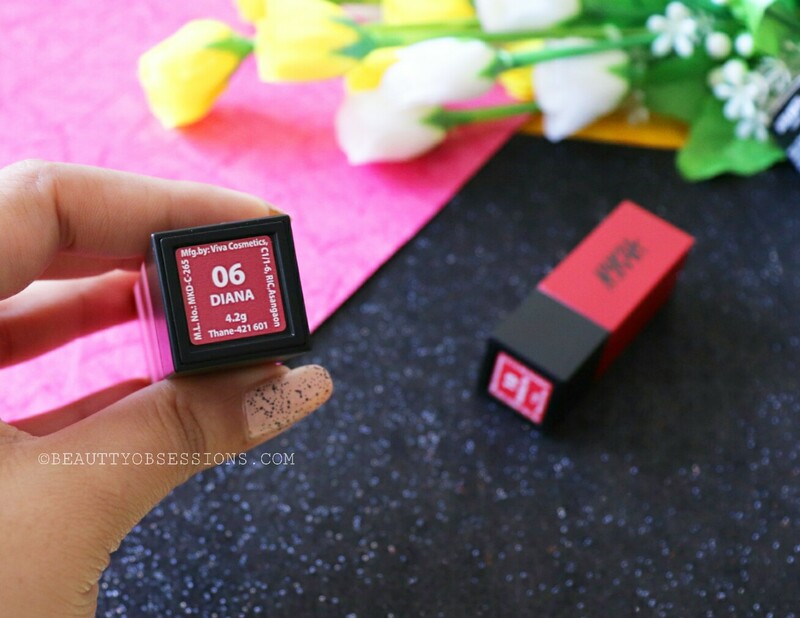 I have used few shades from the range and really impressed by the performance. I think I would buy Diana too. Oh Im so much loving these ultra matte shades from Nykaa. Diana seems to be one of my favourite colour. Good that they are creamy. 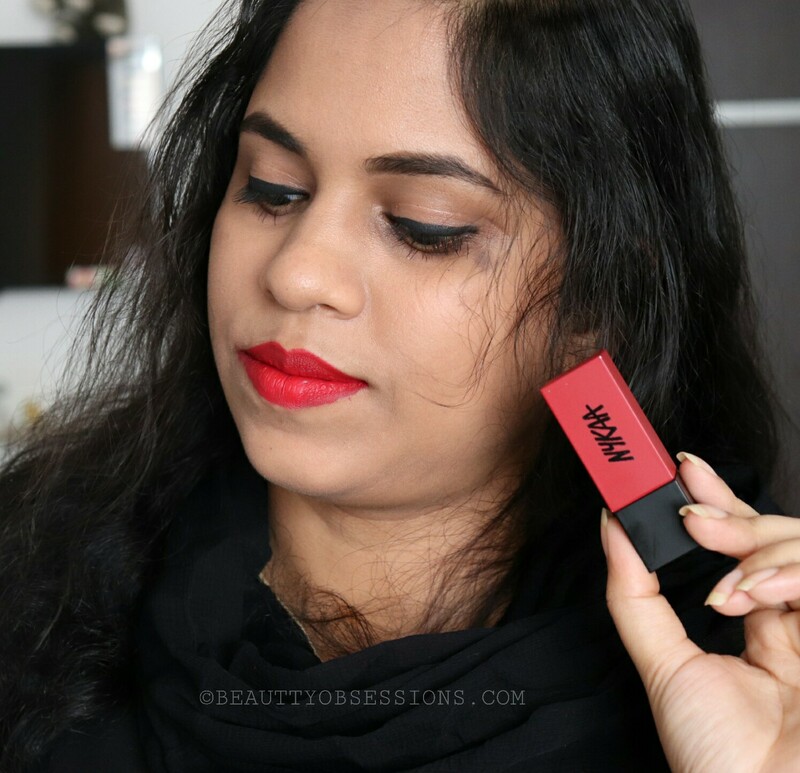 I'm in love with nykaa products! They are amazing and so affordable. Im loving the colour Diana, should try it I guess. Both the shades look awesome, would surely like to try these two soon! This Diana shade is to die for!! The pricing is also cool. Thanks for sharing this post; very well reviewed. Marilyn and Diana both the shades are amazing. I liked the warm pink undertone Diana the most. 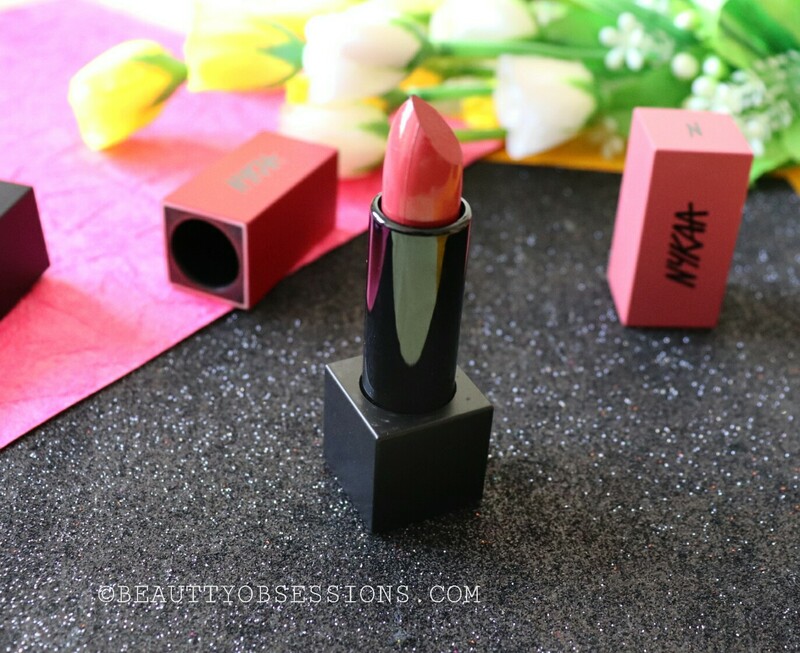 I will definitely try NYKAA lipsticks. Thank you for sharing this post. I am a big fan of Nykaa products. The lipsticks look great and loved the shades. My favourite is the pink one. I really love both the shades but latter is my favorite. Diana! Nyakaa has made it easy for everyone to get quality products at competitive pricing. The shades really look great. Diana looks the best. I would love to grab it for myself. Nykka has some amazing lip-shades to offer. All i can say is I am dying to get my hands on the shade Diana. I am definitely checking out all the other shade options to unload my pocket a bit. I am loving these shades so much. the diana shade is my kind and quite affordable also. I am gonna have this soon for sure. its look so so blushy.. wanna this shades.. Both these shades look lovely on you. They really suit your skin tone, and I’m sure they will suit a lot of different skin tones. Thank you for sharing your review. I love both Marilyn and Diana shades they are really amazing.Warm pink undertone Diana looks good. I will definitely try NYKAA lipsticks. Both the shades are so beautiful 😍..I've tried this range of lipsticks but those shades which are more on the neutral side. Now that's fascinating to know that they have names shades after the powerful women.i personally loved Diana shade and would love to wear it. Both the shads look awesome . The packing looks extremely neat and presentable. Diana seems to be affordable option for everyday use. These shades look so pretty and straight up my ally, I'm definitely going to purchase as many shades as I can possibly buy. The packaging is also cute.